Today, I am, going to recommend you consider an odd specimen tree, the Purple fountain beech. Yeah even though it’s not a native tree and I have bad mouthed Purple leaf Japanese maples in a past post. I made the argument that green leaf Japanese maples fit into landscapes better than their purple leafed cousins. I also gave some suggested green leaf varieties. I am going to flip my opinion when talking about another one of my favorite trees, the European beech (Fagus sylvatica). Yes, there are great green leaf beech trees such as Fernleaf Beech. But it seems most all the green leaf beech get BIG. I mean REALLY BIG. They also grow really wide. I think that the best beech trees for most yards are two purple leafed and SMALLER varieties. These are the Purple Fountain beech and the Tri Color beech. Walking down the sidewalk in Woodstock, IL and you turn the corner to see this staring at you. Kind of scary looking? So you DO like purple leaf trees? Well sure, especially these beeches. I like them so much in fact that they I planted one as a memorial tree for my brother David after he passed away from a long battle with cancer. The other I planted as a five year anniversary gift to my wife. They are both undeniable specimen trees that have lots of visual impact. Both of these trees are much smaller than their big brothers. The purple fountain beech grows upright and stays so narrow that it fits where you would never expect to fit a beech tree. But make no mistake this is not a shade tree. This tree screams specimen plant. It works great in an island bed or near the corner of a house. It is very upright and narrow growing, with cascading branches and deep purple foliage. It’s a tree whose leader grows straight up and all the other branches hang down. The size of the purple fountain beech vary with age, but a tree about 15 feet high by 5 feet wide is about the size most of the larger ones I see are. It will get bigger, perhaps 20-30 feet high and 10-15 feet wide eventually. It has great purplish black leaf color that stands out and demands attention. It holds it’s purple color in full sun throughout the season as shown by this big specimen at the Chicago Botanic Garden in late October. It does normally get a bronze fall color late in the season that is pretty classy but understated. Purple Fountain Weeping Beech in October of 2018 still holding on to its purple color. It does sometimes hold it leaves in the winter and their dried tan color actually provides some nice winter interest. The smooth gray elephant hide like bark gets better every year as it trunk grows in size. Features: Deep purple foliage color, Ornamental Bark, Slow Growing, upright form, Weeping Branches, Slow growing. Next post I will cover the Tricolor Beech and cover some beech care and growing tips that apply to that tree and the purple fountain beech. Chris, This tree will want to grow a branch straight up. It’s your job through pruning to keep wrong ones from being the one that takes over the job as the leader. If you keep any of the side branches less than where the leader died from, a new shoot should grow from that area and begin growing straight up. You will then want to keep the other branches lower than it, until it takes over as the new leader. Is it in Full sun and has it been very hot and dry? Deep and regular watering in summer heat is recommended especially till they are established. I have a 7 yr old purple fountain beech. In the last 4 years the leaves from the leader branches are very small and are not growing to full size as per the other leaves. I also have discover that the leaves have a white fuzzy sticky film on the back of the leaves. what do you recommend???? It sounds like you have a Wolly beech aphid infestation. It sounds like they are a regular for you, so I would definitely look at doing some controls as they are stressing your tree (i.e. the small leaves). See http://hyg.ipm.illinois.edu/pastpest/200510f.html and http://extension.umass.edu/landscape/fact-sheets/beech-blight-aphid for more info. Your website says you will supplying info about pruning a Purple Fountain Beech. My question is should it be done now or in the spring. Am leaving for the south soon. 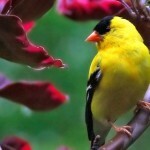 If you are planing on doing normal amounts of pruning, early summer or early fall work well. I need info on pruning the purple fountain european beech. 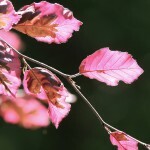 Where can I buy a weeping purple beech tree? Thank-you for your informative and touching site. There are lots of different kinds of purple weeping beeches. This one is my favorite, but there are others that stay lower and are more mop shaped and others that grow into larger weeping trees. If you are looking for mail order, you could try Forestfarm nursery, but I don’t think I have the patience to wait for a beech tree in a one gallon pot to grow and I doubt you do either. I would look for a large retail nursery locally that carries them. You may have to call around a bit, but you should be able to get this tree in most areas. From your IP address it looks like you are in NJ. I am not sure exactly where you are located but Riverside Nursery, 237 Ramapo Valley Rd, Oakland, NJ 07436 looks like a good prospect. Great information! Love these trees, I have two that are about 25 years old. They are a great conversation piece as most people don’t know what they are. Thanks for a great, informative web site. I have a Weeping Purple Leaf Beech that is a beautiful specimen about eight feet away from the corner of my house. It is about 20 feet tall, five feet wide and very healthy. I would like to maintain this size. Can I “top off” the single main leader to keep it from getting any taller or would this create a problem? You can. It will send up another leader as a sprout from somewhere below where you cut it. This will then need to be removed. It could introduce decay if you make a cut into big wood. But if you cut the leader when it is small, say finger thickness or thinner, it should be fine. European beeches are used as hedges frequently in England and they tolerate regular pruning well. Thanks. Sorry to say thanks so late. I have a beautiful tree, but it will get too big for the location it is in. My son would love to have it. Sorry Todd. I have a purple fountain in my garden. It is very healthy, however it only grows and weeps to one side. I would like to encourage growth on the other side. How can I prune to encourage new sprouts to the opposite side? I answered your question on my Facebook page. I planted my tree one year ago, it is about 7ft. tall and looks very healthy. However, it does not seem to have a leader branch growing straight up. The longest branch, that I assume was once the leader, is weeping along with the others so the tree has kind of “split” at the top. Will this work itself out or will it require some cutting to correct it? It will figure it out. If a branch assumes position as the leader that is just way too off center, you can cut it back and another one will probably grow in it’s spot. It will probably figure it out by itself though. Thank you Jim! I have been keeping an eye on it, I do think that former leader really tried it’s best to stand up but over the summer has gotten heavy with growth. I’m going to wait until the fall and see if a new branch takes over, otherwise I’ll probably find one to cut. can it be cut in the fall or shall I wait until next spring? 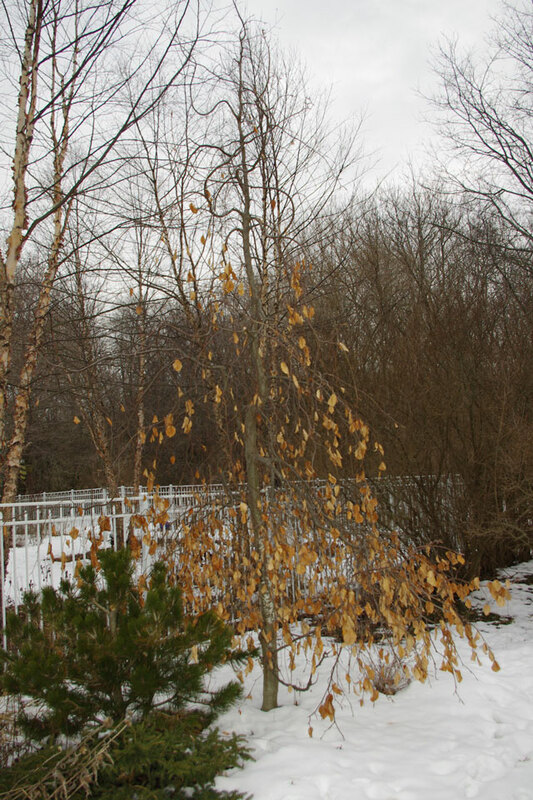 My quite mature purple weeping beech did not leaf out last spring. The previous summer the leaves although plentiful looked unhealthy in colour. It was sixteen years old and we had topped it at 25 ft and it was no less than 8 ft across. Are they prone to any particular problems and should I be fine with replacing it with another? Jim, my tree is about 20′ tall, years ago i took one of the side limbs that was six feet off of the ground and propped it up 4 ‘ from the main trunk with a 4X4 post. That limb had now made a full purple wall screen. It does get comments from all that look at it. Sounds cool. You could post a photo to my Facebook page. I’d love to see it. I just bought a purple weeping birch. I would like to plant at the end of my house, in the middle of roof line. (Where the peak of roof is). My question is, how do the root systems grow in these trees? If I plant 10 ft. away from the house, is that far enough that the roots will not affect the foundation? They have lots of shallow roots that can be troublesome. Soil type and drainage will impact how there roots grow. I can’t say for sure whether the roots will or will not impact the foundation. Conservative arborists will say that is too close for a big tree like a beech. Others will say , lots of those specific trees are planted that close to foundations and don’t seem to cause a problem. I’m interested in using 3 purple fountain beeches to line my walk to the front door. I have about six feet of width to handle the trees. I know these can grow much wider at max-maturity and wonder how they will handle pruning at the base where they are fattest so that I can maintain the six foot width limitation. They can handle the pruning just fine. European Beach’s are often used as hedges in Europe. They will look great for a while, but eventually they will look like a hedge. 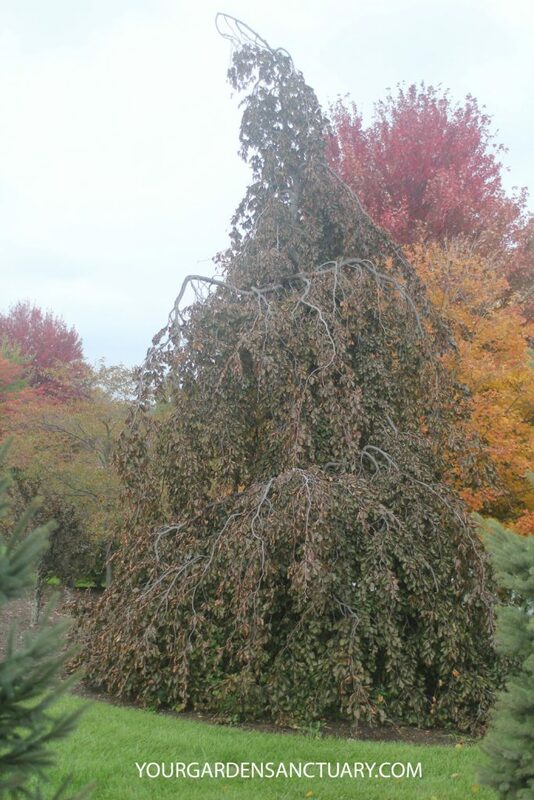 Our purple weeping beech lost all of it s leaves in a short period of time. It it 20 years old and this has never happened. Is it dead? any help would be appreciated. We are hoping it will come back. It’s not really enough information to go off of. I can say that defoliation at late Summer one year, will NOT kill your tree. By mid Summer, tree leaves have made most of the sugars they are going to make for a tree, so defoliation at this time is much less of a problem to the tree then if it occurred in Spring. I would certainly give it a good chance to come back next year. You can scratch a bit of the bark off on twigs or branches to see if parts of the tree are alive, but even if it is dying, it’s branches may not be dead yet. We bought a purple foundation tree late in the summer. It’s leaves were already dying. It did hold them along time. When should the new leaves start showing up? The bark still seems green underneath, but no action yet. We live in So. Oregon. Don’t worry. They are among the last trees to leaf out. The first year they might even be later (mine didn’t leaf out until July but that was ODD!). In my climate (zone 5 Chicago), I wouldn’t get worried until it was June as my European Beeches did not leave out until May. In Oregon, I am not sure, but it will be late compared to everything else. Thank you for extensive information. Considering comments, and remarks about keeping trimmed to possible hedge, would it still be bothering omega to house foundation, trimmed well ? New to trees……long admired TRIP COLOR EUROPEAN BEECH and hope to locate one quickly. Absolutely gorgeous, first noticed 6 years ago and procrastination took over, or I would have happily enjoyed early on. Thank you sincerely. Jomess, Bridgeview, IL. 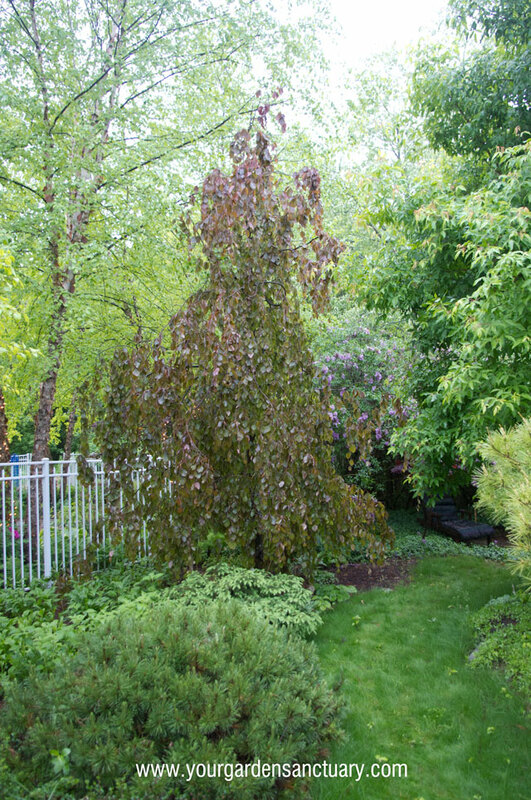 I felt very lucky to find two weeping purple fagus syvaticas at a very late end of season sale last fall. Both looked quite terrible, leaves were dried/gone, pots were dry as dust… Planted them in well manured soil, kept watering until freeze-up, and protected the roots with two big bags of leaves placed on both sides of each trunk. I’m delighted to report that both are starting to leaf out this week (May 25th) with beautiful burgundy leaves; the one in the sunnier spot is predictably a little further ahead. Thank you for your advice to keep watering them well the first full season: our summers here in Ottawa (zone 5b) tend to be hot and continental. I have what I believe to be a purple fountain beech. The top leader, as well as the top part of the trunk was cut, so it is now a “stump”. The top few feet of the tree doesn’t have any leaves as the branches all weep. Will a new leader grow, or will the top few feet fill out somehow? If it is a purple fountain, it will eventually grow a new leader with no help from you. It may take a few years though. I bought a purple fountain beech this spring and I’m wondering how much shade they will tolerate. From my experience they can certainly take part shade. They will be a bit greener then their typical black purple leaf color, but still will have a nice leaf color. There is no comparing a willow and a purple fountain beech’s root system. The weeping willow will be a much larger problem then this dwarf beech. Jim, I have a question about a different purple beech – the purple columnar beech “Dawyki”. I planted three a year ago and they leafed out nicely a month ago. Since then, I have been waiting to see the new growth come out to show they are doing their thing – getting bigger. All the trees I am familiar with get their new growth spurt right after leafing out. Are these beeches different? Should I expect new growth later on this summer? Thanks for the answer if you have one! Be patient, evaluate their growth more towards the end of summer. 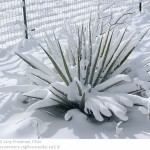 Plants and weather patterns often change the usual patterns you see in plants. Just plant it in good soil in Full sun and give it regular water especially in the heat, but let the soil dry out a bit between watering (don’t overwater). Jim could you please assist me on my purple fountain beech. This spring I laid out on top of existing weed barrier and old mulch, another single strip of weed barrier and 3/4inch red stones on top of my purple fountain beech roots. They are getting orange burns on small portion of leaves towards the front and also seem like they very dry and withering. I started to water for 20 mins with a shower setting on the garden nozzle every 5 days or so.. I also bought some tree-tone and applied appr, 9 cups around its roots over the stones. It has been very hot last 4 weeks 95°.’Not sure how to take care of this beautiful specimen. It is apprx, 20ft tall by 5ft or so width approx 12years old, with a beautiful leader on top. Could you help me please? I would speculate that you could have a few things going on. I think the stone mulch may be heating the soil beneath it and drying it out. Beeches are shallow rooted with lots of feeder roots near the surface. The stone mulch in the hot summer is stressing their roots. The stone is less then ideal as a mulch for them. Also adding another layer of weed barrier on top of existing mulch and a previous weed fabric is creating several soil interfaces that are in effect creating barriers to water and oxygen flow to the root system. I think this is also stressing the root system. It may adapt by growing new roots in other areas and compensate just fine over time, but right now it is under stress. If it was my tree, I would remove the stone mulch and the weed barrier you put down and actually I would probably also take out the the old mulch and other weed barrier. I would then apply a fresh three inch layer of double ground hardwood bark or if you really wanted to pamper your tree 2 inches of compost and another inch or two of wood mulch on top of that. I would not fertilize the tree at all as it’s roots near the surface can be burned by fertilizers, although the Tree Tone you used should be fine as long as you followed it’s directions as it is a low 6-3-2 strength formula. I have a weeping (purple?) beech tree. Not really sure of the type but it has finally gotten big. It’s about 20 + feet high and about 20 feet wide at its biggest width. We planted it about 20 years ago. It sits in front of our house on one side. It has filled out better and is lush. It has a somewhat bell shape but it has a center topper that has gotten pretty tall about 6ft from the rest of the the bell. It has really started to cover and appears to be encrouching on all the other plants. Is it wrong or will it hurt the tree to cut off the 6ft top and reshape some of the branches to fit the space better? European Beeches can certainly take pruning. They are used for hedges in England. Whether it will look good is hard to judge without seeing it. You will have to judge that. I am so glad I found this website. Thank you for all of your information. I am considering a purple fountain weeping beech tree for a corner in our back yard. There is one at a store on clearance right now, so I thought I should do some investigation before purchasing. After reading your previous posts, my biggest concern about this tree would be the root system that sends up shoots in other locations. How can this be managed? I think this could be a great tree to have as a focal point in our yard, so if I can easily manage the root system, I will go and see if it is still there. You have nothing to worry about. This tree will not send up shoots from anywhere on it’s root system. I will go see if it is still there. I’m concerned and sick about my purple fountain weeping beech after the company we hired (arborists) cut major limbs (at least 3)off the trunk of the tree leaving holes. Should limbs ever be cut? We certainly did not want this and I’m concerned if the holes will fill in and concerned about the trees health. We live in western PA and the temps are dropping. Jim – Is there a purple weeping beech that grows larger than the Purple Fountain? However they may be a cultivar that are different then the one normally seen labelled as that which is usually much smaller. 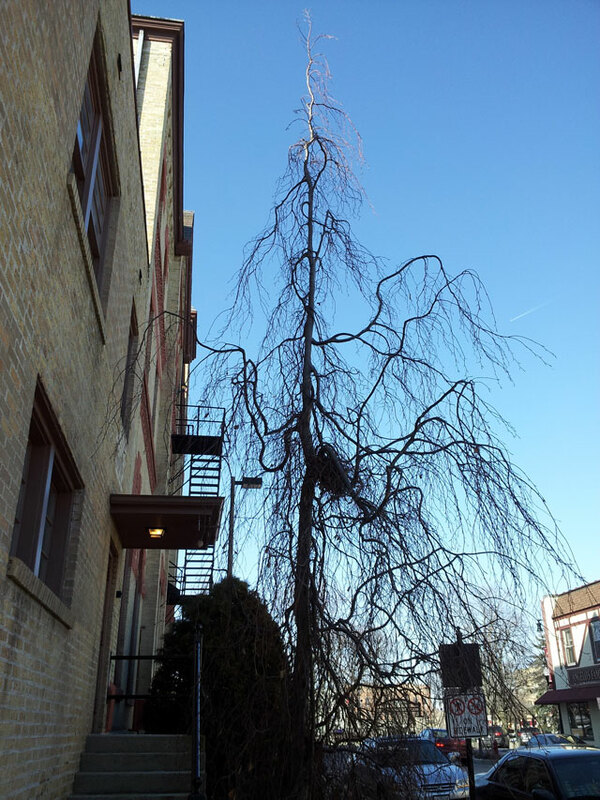 If you keep staking up a main branch on a weeping purple beech, it will be possible to make a larger tree than the 12′ max height they often are labeled as. I would just buy a Purple Fountain as the tree does the “staking” by itself. You could then train some of the side branches to grow away from the tree instead of down to get a wider growing specimen. If you want a large and wide purple beech, Rivers Purple Beech (non weeping) will achieve good size much quicker. After reading all the comments I found all the info necessary. I think this is a good choice for tall and narrow and part shade! And so unique! Hi Jim, I have a Purple Fountain Beech that we planted 5 years ago. It has done extremely well and is about 4-5′ wide and 15 to 18′ feet tall now. We weren’t sure how to prune it and decided to keep all the lower hanging branches which we love … one we propped up to the side until it hardened off nicely. Much to my chagrin, I just saw that my maintenance gardeners decided to cut off the lower hanging branches on the front (yard facing) side of the tree! I am devastated … not only did they ruin the look of the tree for right now, but I don’t know what will happen with the stubs of the branches they cut. Will it grow new weeping branches on those stubs or is forever ruined? Can you tell me what is likely to happen? The branches they cut were about 1/2 inch in diameter. I could send a pic but don’t see any way to attach it here. Thanks so much! Yes it will grow some new shoots and eventually branches. It should eventually look more like the tree you had before it was butchered. Patience. Thanks so much for your reply, Jim! Glad to know there is hope. I LOVE this tree! Thank you for your interest in my purple fountain beech. I thought I would provide an update. As you said, it has sprouted new growth and the severed limbs are not nearly as noticeable now. Not quite as pretty as it was, but getting there. Thank you so much! I found you online answering questions and would love some advice. It appears I have a weeping beech. The year we moved here it was beautiful. Last year it looked sad and had white fuzz on the leaves. I took pictures and leaves to a nursery and they didn’t know what the tree was but gave me a fungal remedy for the roots. It made it and winter came. This year. Same thing started. I started my online search and found you. I have put the anti fungal around the roots and have sprayed for bugs. It still looks sad. The leaves are limp and thin. What can I do to save this tree? I posted this with a picture of my tree on your FB page. I have been watching it daily. Today some of the leaves seem to have a little more life in them. Most of the leaves look like they are wilted. Can you tell me how to work out the root spread of the purple fountain? Tree is approximately 20 feet tall and the Greenkeepers are concerned the roots may cause trouble on the 18th green….about 25 feet away! They are pretty determined to remove this beautiful tree. They could always dig a small trench to see if these roots were approaching the greens. A root barrier could also be installed between the greens and the tree. It is a smaller cultivar that will have a smaller root system. Hi Jim – so glad I found this site as it has been most helpful. We have a 200 yr old sage green wood coloured home and the purple fountain beech seems a perfect specimen tree – as it will take pride of view for all at the front corner of our historic home near our front country porch. We have installed very close to where it will be planted a flagstone walkway – do you see any issues. We are pleased it is slow growing and narrow but just hope the roots won’t disrupt the flagstone walkway. Your advice is greatly appreciated- it is absolutely the perfect tree we were looking for. Beeches can have surface roots but that is a bigger issue the bigger the tree is. 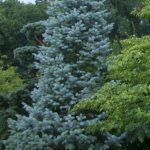 I would say if you think it is the perfect tree you are looking for, then I would try to site it with a bit extra room for the roots and not worry about the flagstone. Hello! I planted my purple beech about 3 years ago. This year it is growing seeds. Are they seeds? and can I plant them and grow more trees? That would be fantastic! I have not had seeds, so I am not sure if they will be fertile but you might as well give it a try and report back what happens please.